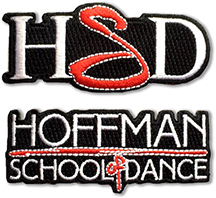 Custom embroidered patches with low minimum quantities. Patches can be made in just about any shape. Your choice of application method. Sew it on, iron it on or use velcro. We have made many types and quality is excellent. Still Have Questions? Please Ask Before Ordering. Make a logo patch and add it to you team bag, cap, jacket or sport mom tote. Commemorate a tournament with an embroidered patch. We'll help you every step of the way! Send us your logo or sketched idea, tell us your team colors, we will take your art and convert it to an embroidered patch. 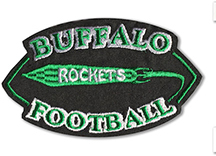 An embroidered patch is easy to iron on your jersey or jacket. Start an embroidered patch collection or add it to one that you already have. Embroidered patches are easy ways for a club to promote their brand or logo and embroidered patches are made to your specifications. 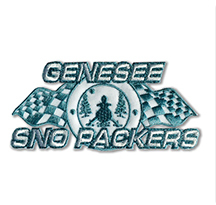 We take pride with the appearance and quality or our custom embroidered patches. Wearing a patch on your jacket lets others see what you are about. Present a patch to your players for excellent sportsmanship, winner, champion, team logo, division, travel level. Whatever your idea, we're here to help make you look good. 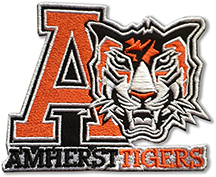 Embroidered patches may represent the group or club you belong to. 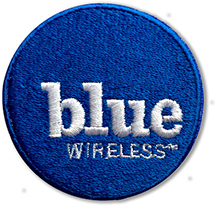 Employees wear embroidered patches on their uniforms or business attire. Club members may wear them on warm up jackets or other club member garments. 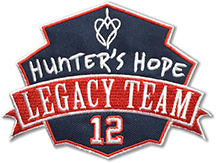 A embroidered patch can be presented to participants in your event or fundraiser. 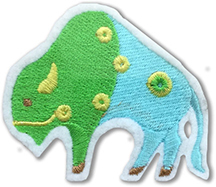 There are so many uses for embroidered patches. Stock patches for your various size garments and not the garments. 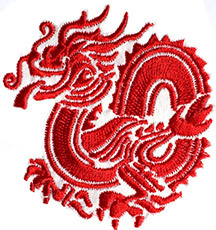 Order garments as needed and apply the embroidered patches when necessary. 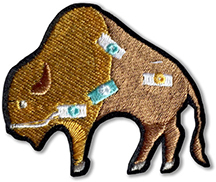 Some other types of patches that you see all the time are Police Patches, Fire Department Patches, Motorcycle Club Patches, FBI Patches, Government Agency Patches, Merit Patches for the Scouts and may sports teams have patches on their uniform.